Business owners need to know how to keep up with changes in the market. 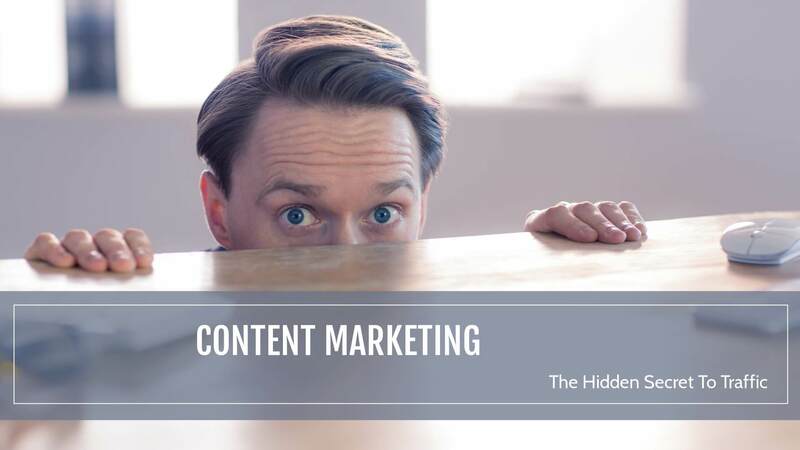 A great tool that is making waves is content marketing. Content marketing is a marketing approach that involves creating valuable and relevant information to your potential customers as a means of eventually marketing your actual product or service. It is a great way to attract online traffic and let your audience know exactly what your value to them is. When it comes to business, increasing sales is the primary concern. The way businesses do that though is always changing. Just think of how business owners marketed fifty years ago, or twenty years ago. It was drastically different than what they do now. Content marketing is a way of guiding website viewers down a sales funnel that consistently brings them value with every communication. They can see how valuable you are to their needs. If you’re that valuable before they buy, you’ll be fantastically valuable when they buy! Cutting down on costs is another reason why content marketing is so popular. Think back to how people marketed years ago. One example is sending mailers. They may have created a flyer that heralded their product or service. Creating it cost money for a designer, a printer and then sending out the mailings. By scaling marketing efforts to online content marketing those costs are all eliminated. Yes there are costs for an auto-responder, but they wane in comparison to creating a physical mailer and getting it to the customer. Attracting the right customers is also an advantage of content marketing. Your marketing plan is a well thought out process that takes your customers down a pathway. For example, you may first procure their email with a valuable e-book that tells them about how widget A is a great product. A few days later you send an email on “How to Maintain your Widget A”. A few days after that you send an email with testimonials on how people used your widget A to solve their pressure points. Each email has a link to your product where they can directly purchase it. As you build value, they realize that they need your widget A and make the purchase. What you want to do throughout your sales funnel is wean out the buyers who aren’t really going to buy. If a customer isn’t really looking for your product, they will fall off your mailing list by choice. This streamlines the entire process and makes content marketing that much more valuable for your business model. Learn how to use content marketing together with search Engine Optimization to your advantage. You will soon see how much of a difference it makes and how it can easily grow loyalty to your brand with your customer base. Feel free to get in touch with us. We are happy to discuss your website projects free of charge. We back all of our projects with an iron clad Money Back Guarantee so that you can rely on us with peace of mind.